James Phillips, David Ledbetter and Carl Raubenheimer of Illegal Gathering. After the band Corporal Punishment broke up in 1980, Carl Raubenheimer moved to Cape Town and James Phillips enrolled at Rhodes University in Grahamstown. Read about Corporal Punishment here. There were many reasons for the break up of Corporal Punishment. Phillips said that it was mainly because the South African public would not accept local music. According to him, whenever anyone sang in a South African accent or wrote about local issues, the audiences would simply lose interest. Raubenheimer, on the other hand felt burnt out and disillusioned because the band had not been able to secure a recording contract. At Rhodes University, Phillips used at least two aliases, initially he was known as Bartholomew Biased. Later, when he joined a local Presbyterian church, he was called James the Boptist. When he met Shaun Naidoo for the first time, Phillips’s strange appearance made a big impression on his fellow student. According to Naidoo, Phillips was playing a guitar and his head was almost completely shaved. Phillips was wearing an overcoat that had been patched in various places. A home-made badge on Phillips’s jacket read: “You’ve got to be crazy to look at me this way”’. During his October vacation in 1981, Phillips decided to travel from Grahamstown to Cape Town. He arrived at Carl Raubenheimer’s home at 3am in the morning. Undeterred, Phillips decided to wake his old mate up by playing his acoustic guitar very loudly outside Raubenheimer’s front door. Raubenheimer was unfazed by the early wake-up call. After indulging in some cheap whiskey and other substances, the two friends shared some new songs with one another. 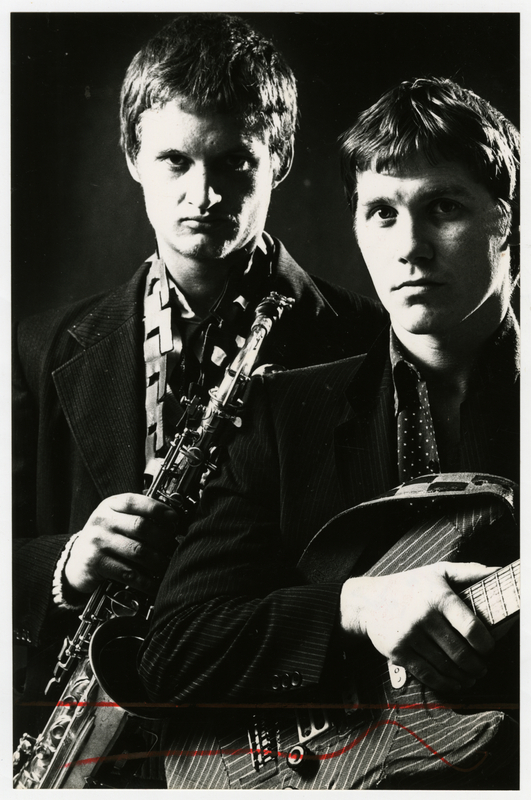 Raubenheimer suggested that the two form a new band and play some gigs in Cape Town. South Africa’s Glimmer Twins were ready to rock again! Mick Jagger and Keith Richards became known as the Glimmer Twins after a boat cruise around Rio in 1974. Read about it here. James Phillips and Carl Raubenheimer. The new band became known as Illegal Gathering and initially consisted of Raubenheimer, Phillips, Brian Rath and Brett Murray. Murray would later be named Standard Bank’s young artist of the year and became infamous for creating the portrait of Jacob Zuma, known as ‘the Spear’. Read about the Spear here. The band rehearsed some new songs and played one gig at a club known as ‘The 1886’. Phillips left Cape Town after the concert and returned to Grahamstown to continue his studies. During his December vacation, Phillips again returned to Cape Town. 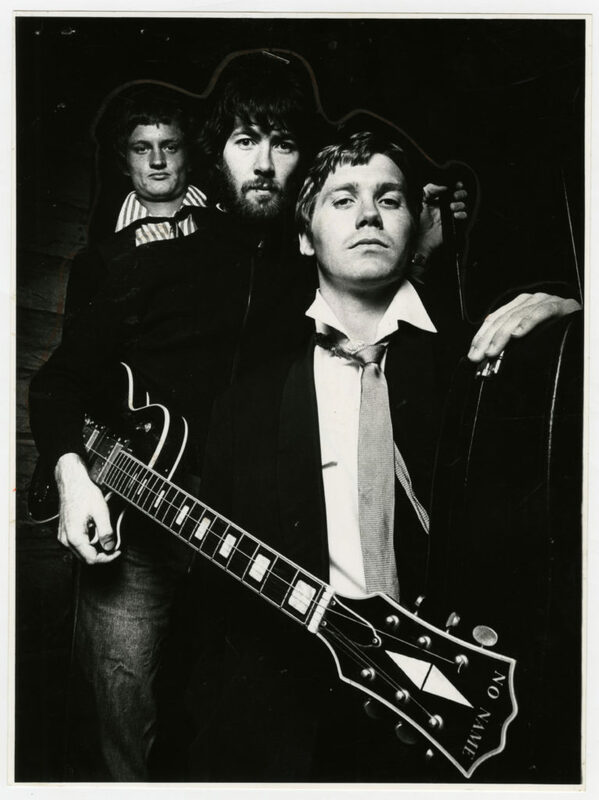 Rath and Murray were no longer keen to be involved in the project and so their places were taken by David Ledbetter and Wayne Raath. This visit by Phillips to Cape Town would be the first of many summer holidays that he would spend in that city. Phillips would stay with friends who affectionately called him “The Cherry Faced Lodger”. 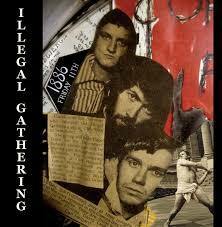 The updated version of Illegal Gathering decided to record the new songs that Phillips and Raubenheimer had written. Carl Raubenheimer had a friend who was managing a recording studio, which he allowed the band to use. The studio was located in the Broadway building on Cape Town’s foreshore, two floors below the American Embassy! The musicians used Raubenheimer’s Portastudio four track cassette recorder which they plugged into the studio’s 16 track mixing desk to record their sessions. 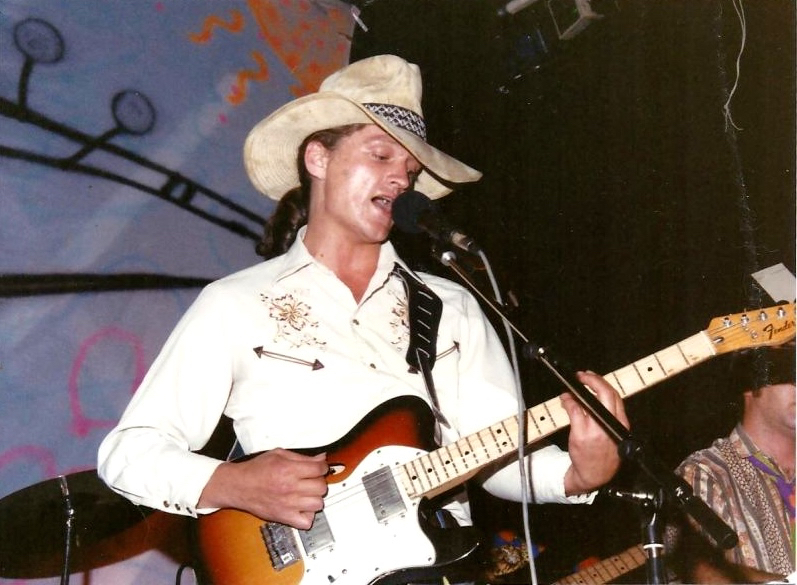 Apart from the recording sessions, Illegal Gathering also played six gigs in Cape Town. Some of the clubs that they played at were the 1886, Scratch, The Pepper Street Theatre, The Space and The Roundhouse. Bernoldus Niemand. Photo credit Donald Ferguson. 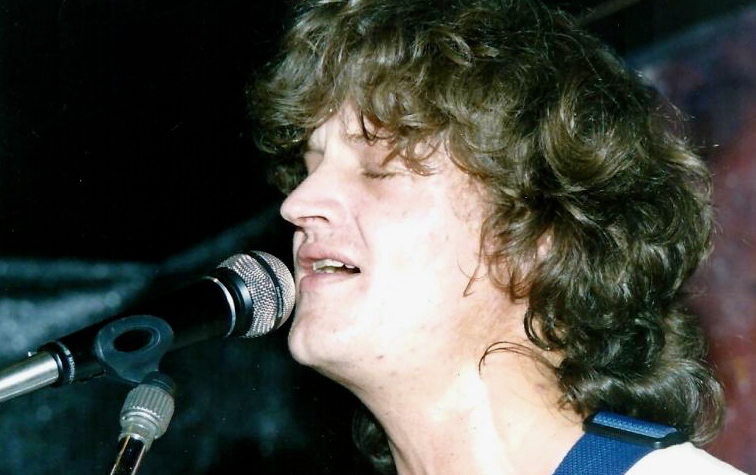 One of the songs that Phillips had written and which was included on the Illegal Gathering album was an early version of “Hou my vas Korporaal”. This version of Phillips’s iconic song featured Phillips playing on his own. Later Phillips would rework the song and include it on the album, which he recorded using the alias Bernoldus Niemand. 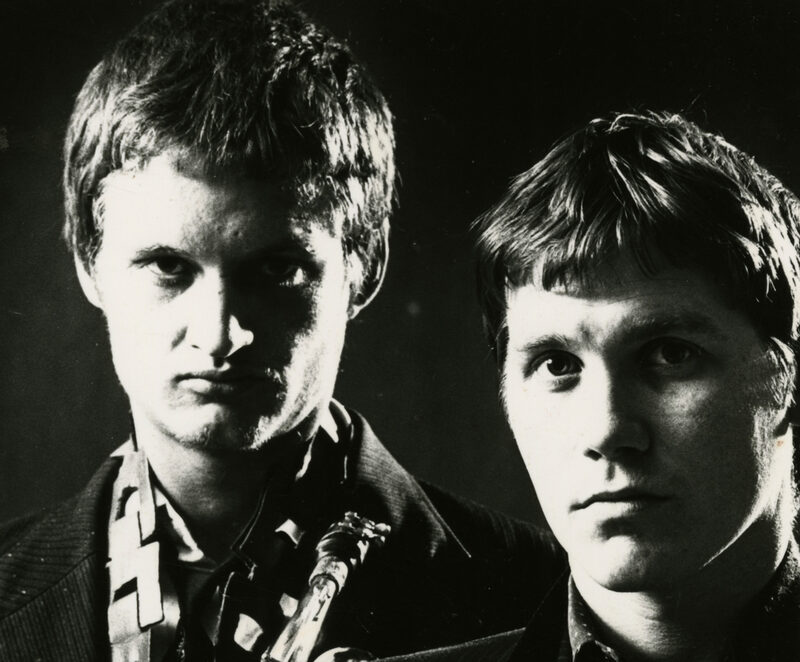 The Bernoldus Niemand album was enormously important because it went on to kickstart the Voëlvry movement, which in turn revolutionised Afrikaans rock music. Buy the Bernoldus Niemand album here. Illegal Gathering was always envisaged to be a short-term project. In the end it hardly outlasted Phillips’s summer vacation. Phillips would later form another band, the Cherry Faced Lurchers, which became well-known for its performances at the legendary Jameson’s bar in Johannesburg. 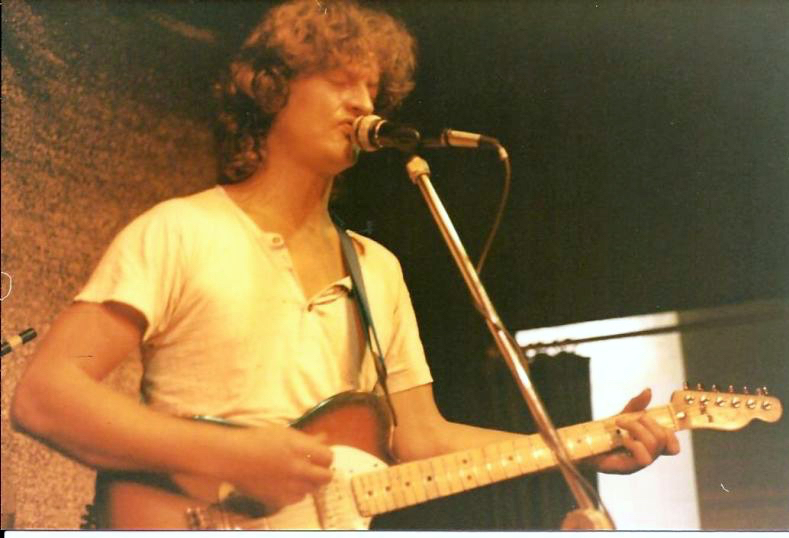 James Phillips performing with the Cherry Faced Lurchers, July 1988. Photo credit Donald Ferguson. Unfortunately, many of the songs that Phillips and Raubenheimer had written for Corporal Punishment remained unrecorded. However, a few years later, when Raubenheimer was called up to do an army camp, he and Phillips had a reunion gig for Corporal Punishment in Johannesburg. 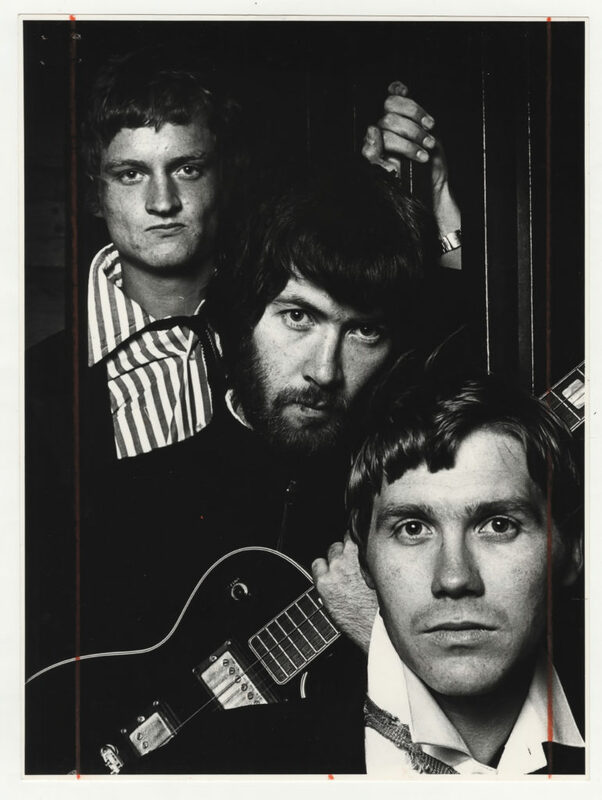 Luckily, Lloyd Ross’ Shifty recording studio was available and so Raubenheimer and Phillips recorded some songs with Steven Howells on drums. Eventually these tunes, together with the songs that had been recorded in Cape Town became “The Voice of Nooit” album. The Voice of Nooit was a cassette-only release by Shifty Records, which featured the music of Corporal Punishment on the one side and that of Illegal Gathering on the other. Buy the Illegal Gathering album here. James Phillips died on the 31st July 1995 of injuries sustained in a car accident, but his legacy will live on forever. Read more about James Phillips. The colour photos in this post were taken by Donald Ferguson. The black and white photos were sourced from the Independent Media Photograph Archive in the custody of UCT Libraries. The story of Illegal Gathering was gleaned from an interview that I conducted with Carl Raubenheimer.